Nota: I met with Mahamane Cisse during the 11th world conference on Tobacco or Health in Chicago. A slightly different version of this interview was published in the daily journal of the conference (in the August 10th issue). Thank you Mahamane for accepting our rendez-vous. May I ask you to introduce yourself? I am an attorney in Bamako (Mali) and the President of a young non-governmental anti-tobacco organization, SOS Tabagisme. I recently filed two lawsuits against the local BAT subsidiary for illegal advertising. Q1. How did you get involved in tobacco control ? Before practicing law I was an advisor with the Health Ministry. 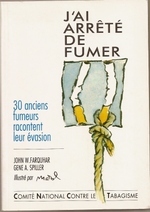 In 1996 the first tobacco control bill was enacted in Mali (bill # 96.041). It prohibits advertising on TV, radio, in movie theaters and introduces restrictions for billboards. Unfortunately sponsoring is not included and the tobacco companies try to go around the existing regulations. There is also a prohibition to smoke in various public places but it not seriously enforced. SOS Tabagisme was created two years ago in september 1998 to raise awareness about the tobacco epidemic : my friends and I were concerned about the omnipresence of advertising and promotion (despite the restrictions) and the impact on our youth. Q2. what triggered your lawsuits against BAT ? On January 24 2000 they had put up huge promotional banners across the main avenue in Bamako that were blatantly in violation of the law. So our first move was to go to court and ask the judge to issue an injunction to immediately remove the banners. The judge sided with our analysis. He issued a court order for the immediate removal of the banners with a heavy daily fine in case they remained in place. 2 hours later they had disappeared and I was flooded with requests of interviews by the media. Q3. Have the media been supportive of your efforts ? They have been very supportive. Our national TV for instance allowed me to speak for 5 to 10 minutes during the 8 PM evening news. This has a huge impact. They also gave us 45 minutes for World No Tobacco Day, right after the evening news. The newspapers have been very open as well as the radios. The coverage of the lawsuits was not limited to our local media: I heard that it had made the TV news in neigboring countries like Togo and Ivory Coast. 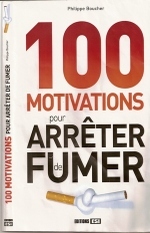 There was also an article in the pan-african magazine Jeune Afrique although they have a lot of tobacco ads. This underlines the very important mediatic dimension of a lawsuit against a tobacco company. Q4. What was the second lawsuit about ? Our first action asked for the removal of the banner, our second asked for compensation for the damage. We argued that since our association was working to reduce tobacco use, such an illegal advertising constituted a prejudice against us and we deserved a financial compensation. In his decision of April 13 the judge ruled on several strategic legal issues. The first one was our legal standing. Did we have any right to complain ? He ruled we did and that opens the door for eventual future complaints. In certain countries a non-governmental group like ours would not have legal standing and would not be able to go to court. So this was a crucial first step. The judge also ruled in our favor concerning the violation of the law and agreed on the principle of a financial compensation. I know at first one disregards as ludicrous the 20 cents we were awarded while we had asked for $ 2.000. But in a way this first symbolic award was even better than a bigger sum. It established a principle and that's what we were looking after. The fact that the award was symbolic does not mean it will remain at this level in eventual future actions. Furthermore, the lawsuit itself brought us media coverage no money award could have given us. Of course we are still very poor and we need much more funding to increase and improve our activities but this was a huge step forward. For us and for many of our neighboring countries. It shows it is possible to combat and defeat the tobacco industry. Q5. You are also working to improve the existing law . . .
On May 25/26 we have organized with other NGOs and the National Assembly a conference to evaluate the 96 law. Proposals were discussed and are going to be submitted to the National Assembly. For instance we want to prohibit the sales of tobacco within the school premises. We also want to prohibit the sponsoring of sport or cultural events. Many African countries don't have any tobacco control legislation or their regulations are inadequate. I was able to take many contacts during the conference, here in Chicago. I have learned from other lawsuits and lawyers. We also have been discussing the possibility of a regional meeting in Bamako in the fall where we could promote cooperation in the legislative and legal fields among French speaking African countries. I hope that North/South partnerships (including financial support) can be established between NGO's from the industrial countries and our anti-smoking groups to promote new aggressive legal tobacco control initiatives in Africa. Thank you Mahamane for taking the time to be with us today.